Here are the dates for 2018-19 and our rhythm as Wider Leaders. 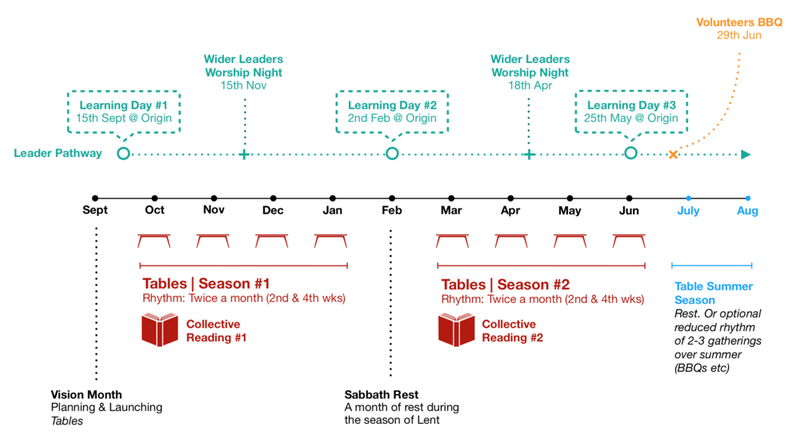 As mentioned in the previous post we are beginning two new gatherings called Learning Days and Wider Leader Worship Nights.We hope you find these gatherings to be high value, focused and blessed times that help shape you more in the way of Jesus. We are hosting 3 Learning days throughout the year, one in September, February and May. These days are designed to help us hit pause on normal life, to come together as leaders to wait on God, to learn, to dream and plan for the next season ahead. Each learning day will be shaped around three movements. [UP] will start our day with a time of worship together, making space to receive, to pray and minister to one another. We’ll then move into a time of Input [IN] when we’ll engage with a new key piece of teaching/input that we hope will equip and inspire us as we grow as leaders. We’ll finish the day with [OUT] by breaking into our smaller teams to reflect, discuss and plan our teams direction for the upcoming season. The day will involve great food and coffee with lunch being provided. 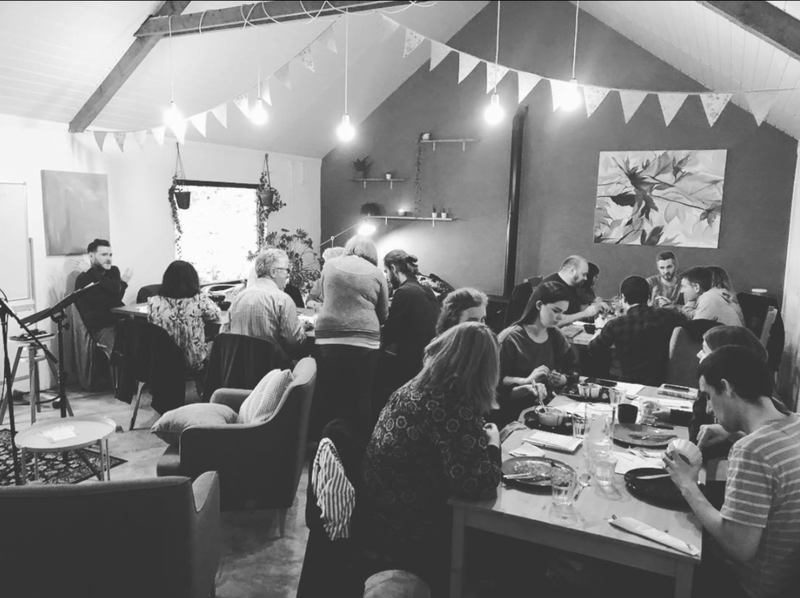 Most of you will have attended our first Learning Day last month hosted in the lovely surroundings of Origin Space and from what I hear it was a great time. We’re looking forward to the next one in February when we’ll reflect on all that has happened since then and plan ahead for the Spring. Several times each year — in between our Learning Days — we will be gathering together for evenings of worship and prayer hosted either in someone’s home or down at 101. These evenings will be simple — waiting on God and being open to the move of the spirit — so that we might bless, encourage and minister to one another and have ears to hear what God might be doing among us. I’m really grateful for all your commitment to serving the Redeemer community as a leader. Really looking forward to a year of growing and learning with you all. I’m trusting that our time spent together this year as leaders will help us each be formed more in the way of Christ, that it will strengthen our relationships with one another and that the Spirit would give us prophetic imagination for what God might do through us in the years ahead.